Royalty-free stock illustration of a dog with beige – white hair, erect ears, and fluffy tail, sitting down, and staring ahead. 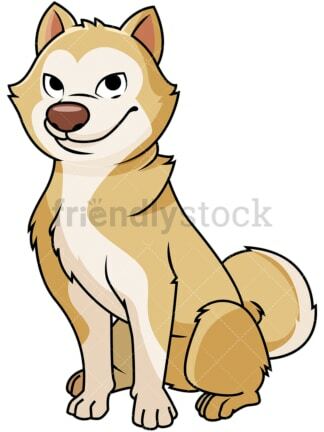 Royalty-free stock illustration of a fawn Akita dog with golden brown coat, erect ears, and fluffy tail, standing on all fours and staring ahead, smiling. 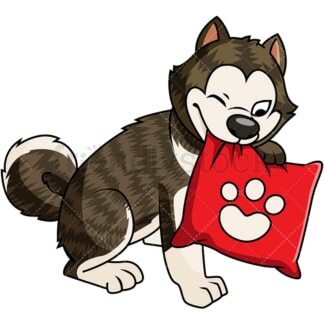 Royalty-free stock illustration of a playful dog with dark brown and white hair, erect ears, and fluffy tail, biting a red pillow with a paw icon on it, looking happy. Royalty-free stock illustration of a dog with white coat, erect ears, and fluffy tail, laying down on the floor, smiling. Royalty-free stock illustration of a playful dog with brown – white coat, erect ears, and fluffy tail, sticking its tongue out, smiling and looking adorable. Royalty-free stock illustration of a playful red fawn Akita dog with erect ears and a fluffy tail, raising its paw while sticking its tongue out wanting to play. 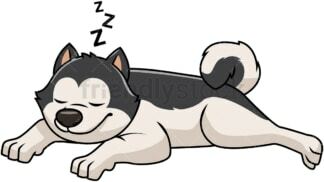 Royalty-free stock illustration of a dog with black and white coat, erect ears, and a fluffy tail, laying on the floor resting and taking a good night sleep, looking happy. 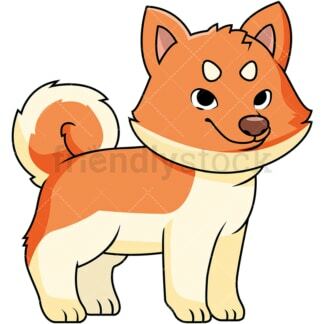 Royalty-free stock illustration of an adorable red fawn Akita doggie with erect ears and a fluffy tail standing on all fours, smiling and looking happy. 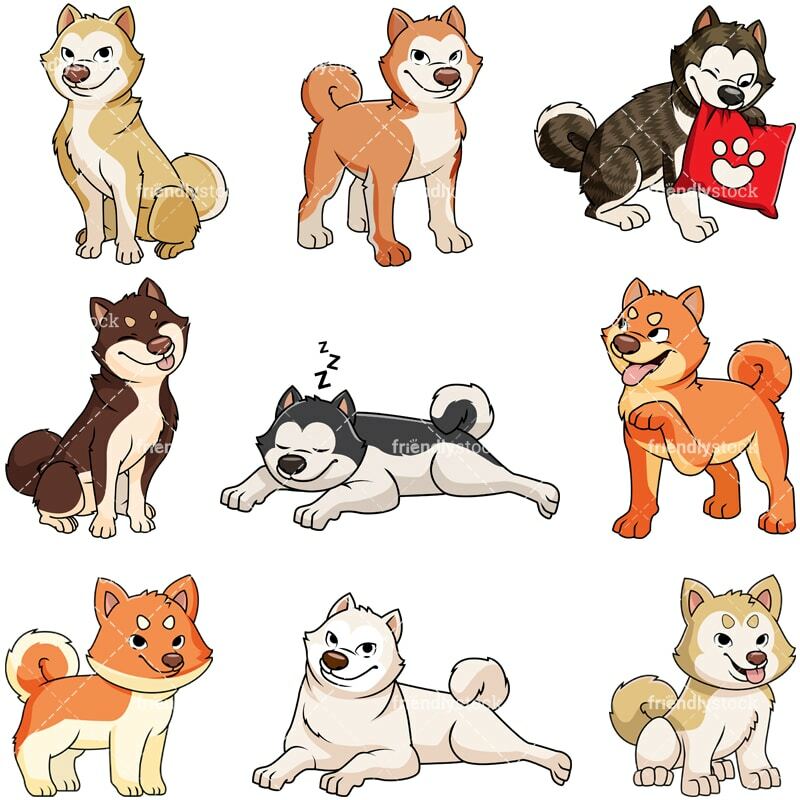 Royalty-free stock illustration of a cute Akita pup with erect ears and a fluffy tail, sitting on its back legs and sticking its tongue out, looking happy.